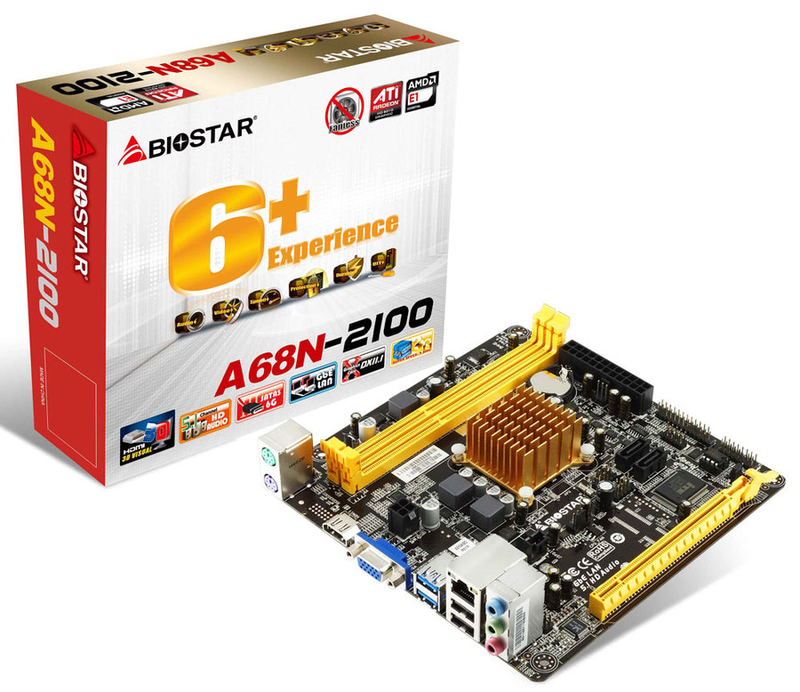 Even cheaper that the A68N-5000, BIOSTAR is entering the Raspberry Pi territory with the A68N-2100 (available for $53). The motherboard design is very similar to their J1800 offering, only with a copper cooler. The aging E1-2100 first appeared on an ECS motherboard 1 year ago.